Now you can have the Sonic Screwdriver from the 13th Doctor Who. And this is not the kind of Sonic Screwdriver we are used to that looked all smooth and cool as this one almost looks. like a finger. This Doctor Who Sonic Screwdriver is about 8 inches tall and has orange glowing light build in and it does make Sonic Screwdriver sound too. Owning this Sonic Screwdriver means you are ready to dress up like the first female Doctor for cosplay or Halloween. You can also just choose to display this cool looking finger in your home as it really looks amazing. 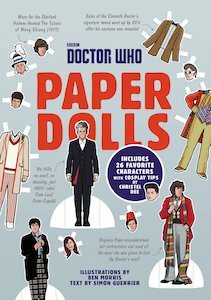 If you want some Doctor Who crafts then this Doctor Who paper dolls book is what you want. 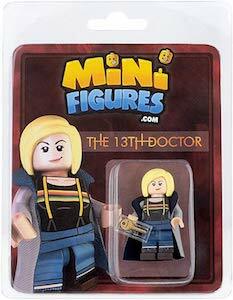 Now you can dress up your own Doctor Who paper dolls in cool outfits or simply like they normally wear. 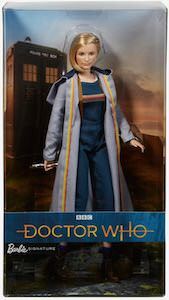 There are paper dolls from the first 12 Doctors and there are many companions and other characters too and there are many costumes to choose from making it great for many hours of fun. And the characters are made from heavy card stock. And the book also has other things to keep you entertained even if you are done dressing the dolls. 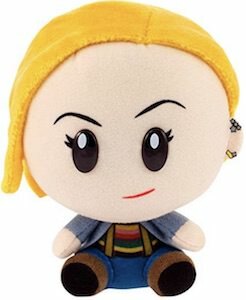 Now you can be the companion of the 12th Doctor because this plush of Doctor Who makes you the perfect person to carry him around where ever he wants to go. 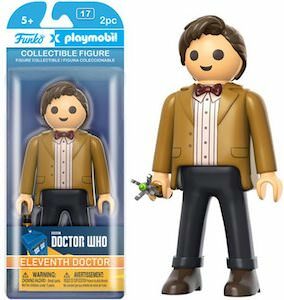 The Doctor Who plush is 9 inches tall and talks just like the 12th doctor and is dressed just like the doctor and he even has shiny shoes and gray hair. 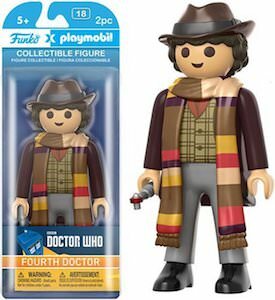 The 12th Doctor is rated ages 3 and up making it great for kids and adults. 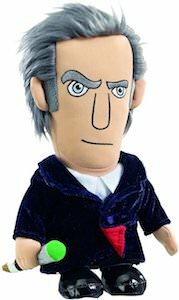 Sure you need this plush to be part of your Doctor Who collection and I am sure that he loves to watch reruns of Doctor Who with you. If you always wanted to build a Tardis just like the one Doctor Who has then now you can only this one is a little bit smaller. 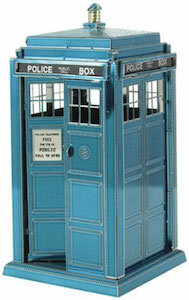 The Tardis model is made from blue metal with a lot of details, it has door, and top signs and even the doors work. The model Tardis is rated ages 14 and up and it may keep you busy for a while but after that, you will have an amazing looking Tardis just for you to enjoy. I am sure that the Doctor himself would enjoy building this model so if you want to be a bit like him then start building your own 3D Tardis. We all know that the 12th Doctor started his run with the Sonic Screwdriver from the 11th Doctor and after that he even used Sonic Sunglasses but now he has a fancy new Sonic Screwdriver and you can have one to. This replica of the Doctor Who Sonic Screwdriver shows all the details of the new tool and yes it has sounds and lights and it even can show green and blue light so that it can be perfect for any occasion. Using a Sonic Screwdriver like this is just great fun as we all know that it won’t really do things like a real Sonic Screwdriver would.